Shalom Wagshul of Haminagnam Orchestra, with Moishy Roth, bring you an evening of KumZing with Lipa Schmeltzer, Dovid Gabay, Berri Weber, Yosef Chaim, Udi Davidi and Ori Avraham. Music produced and arranged by Moishy Roth. 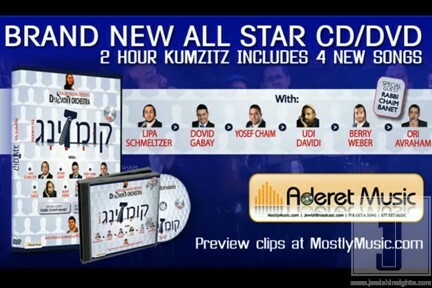 Features special guest Rabbi Chaim Banet. This CD/DVD features 4 brand new songs!